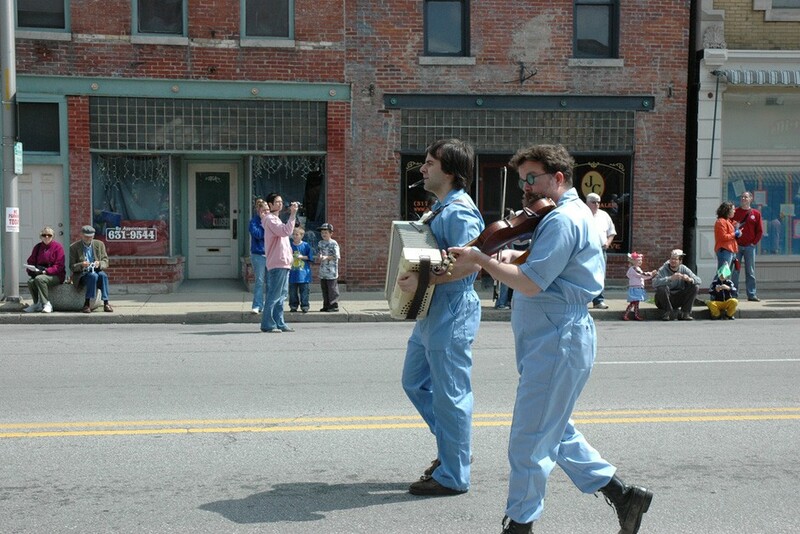 Big Car Collective’s Chambray Blue Jumpsuit Division (Todd Bracik, Tom Burris, John Clark, Scott Hall, Matt Hale, Kipp Normand, Jim Walker) and its noise machine project called Listen that featured in the Indianapolis Museum of Art’s curated art parade, exhibition, and publication. On Procession, curated by Rebecca Uchill, was on view from May 2 through August 10, 2008, at the Indianapolis Museum of Art. The exhibition and parade, made up of more than 50 art projects, included artworks by Francis Alys, Jeremy Deller, Katie Grinnan, Paul McCarthy, and Dave McKenzie; newly commissioned works by FriendsWithYou, Fritz Haeg, Amy O’Neill and Allison Smith; documentation from the 2005-2007 New York Art Parade, and artworks created in response to an open call for participation. 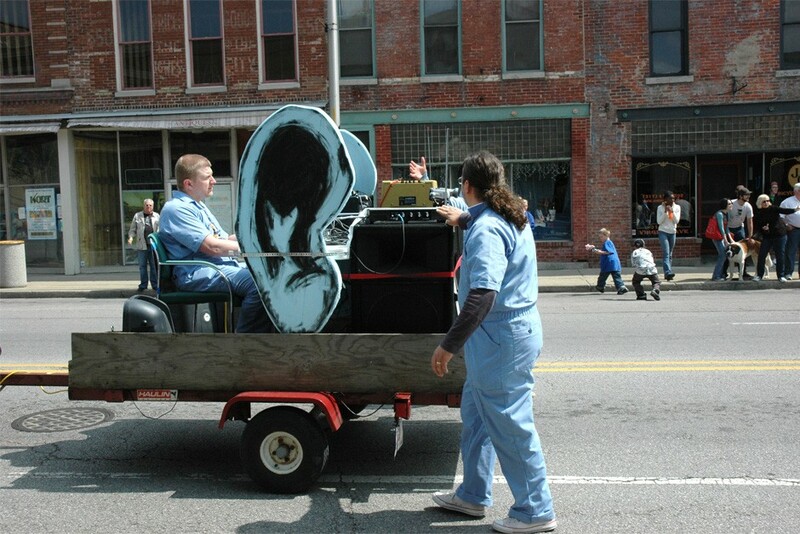 The book includes essays on critical approaches towards and experiences with parades; biographies and interviews with artists; and color photographs, including artists project pages.